Museum Education room, MTG Hawke’s Bay, 1 Tennyson Street, corner of Marine Parade and Tennyson Streets, Napier. 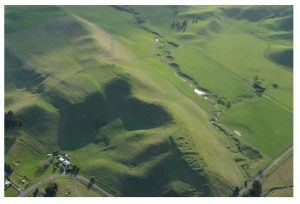 Aerial photographs provide for speedy recognition and mapping of surface-visible archaeological sites. These include earthworks such as pa and sites that are underground and showing only as a change in the surface vegetation. Old vertical aerial photograph such as those taken by New Zealand Aerial Mapping Ltd show photographs that have long been destroyed. This talk will be based on Kevin’s aerial imagery of Hawke’s Bay taken over the last 20 years. Kevin L. Jones is an archaeologist in private practice in Wellington with a background in Pacific World Heritage, New Zealand regional archaeologies, aerial photography and archaeological site conservation methodology. He is the author of The Penguin Field Guide to New Zealand Archaeology.